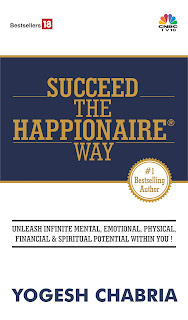 Yogesh Chabria - The Happionaire ​Blog - Best Motivational Speakers In India - Inspiration, Success: What Do You Do When Inflation Rises? What Do You Do When Inflation Rises? A lot of people have been complaining about how everything seems to be getting more and more expensive. Lately inflation in India has been rising on a constant rate. Every asset class has gone up. An apartment in Bombay that used to cost Rs. 3 crores a year ago suddenly is now being sold for Rs. 4 crores. Not just real estate but everything from petrol prices, to energy costs to onions, all have risen rapidly. Someone was telling me how it has become so expensive to buy gold for their daughter’s wedding and complaining about things. I completely agree inflation has risen quite a lot. But fortunately or unfortunately, the reality is that inflation will keep rising in the long term as more and more money is printed. Think of the price of an asset ten years ago and compare it today. Ten years ago, Bank of India at Rs. 12 seemed expensive to a lot of people, today it is over Rs. 400. Gold at Rs. 2500 seemed expensive to people at a time, today it is Rs. 20,000. Real estate seemed expensive to people at Rs. 10 lakhs at a time, today the same is worth over Rs. 4 crores. During 2008, during the crash, we had a phase when everything got cheaper, but at that time people forgot to buy assets, instead they became cautious and started saving money. The reality is that, what most people consider saving money is not really saving. When banks give you even 8 or 9% interest rate, and the real world inflation is over 20% -25%, you are losing money. What I have learnt is that, every time we are faced with a crisis, we should look for an opportunity. When petrol prices, are rising, we should try and find a way to benefit from them. When inflation is rising, we need to find out how we can benefit from it. Now for instance let us say the government rises petrol prices, on one hand, most people will complain about paying higher petrol prices. They will sit in their Rs. 5 or Rs. 10 lakh rupee car, and complain, but very few will think about how they can benefit from the extra profits that come in from this rise in petrol prices. Petrol is a basic necessity, when prices go up; people have no choice to pay. This is a sort of monopoly in terms of pricing, even a Rs. 2 increase in petrol prices, means thousands of crores in profits for a select few. Why don’t more people start thinking how they can benefit from these increase profits in the coming years? Rising petrol prices cause increase in inflation, everything becomes more expensive, but in the real world we need to look at everything as opportunity. Either, we can crib and complain about everything, or be optimistic and opportunistic. I would rather be optimistic and opportunistic, it helps me think better and look for opportunities where others aren’t. When inflation rises, it is best to look for assets that will rise faster than the normal rate of inflation. It helps to look at assets, which everyone is complaining about. If everybody around you is complaining that petrol prices are rising, maybe you should invest in oil marketing companies, if you feel onions are becoming expensive, maybe it makes sense to invest in onions. In fact onions would have given you a return of over 120% in the past one year. Another interesting thing is that to invest in onions, you don't really need a lot of money. Now, how you go about investing in onions? I’ll give you some time to think about it. It will be fun! I am looking forward to meet fellow Happionaires in New Delhi on Saturday, 18th of December at The Park Hotel, Parliament Street, Connaught Place. We are having a day-long program on Happionaire’s FUNdamentals of Investing organized by The Quantum Dynamics Institute of Life Sciences. See you and Happy investing! This was something we were talking about, and all of us were complaining about it...and about corruption.........but after reading this post I realized that in the long term inflation has been rising always. Are you secretly telling us to invest in Oil Marketing Companies? I wish I could attend the program in Delhi, I am presently in New York, would love to learn more about onions. Can we invest in onion through commodity exchange . IT WAS REALLY AN OPPORTUNIST THINKING… YOU HAVE ALWAYS BEEN HELPFUL WITH YOUR EXCEPTIONAL THINKING… I AM WAITING TO KNOW ABOUT ONIONS… ARE YOU SUGGESTING TO GROW ONION IN OUR FARMS…? Bahut ghuma fira ke baat kartey ho,Why dont u use simple language? People do not think for themselves when things are handed on a platter, here it is more about people to encourage to think kuldeep ji than to give answers. If you read earlier posts also now, you will suddenly realize what he was speaking about. Well it is easy to know how to invest in onion.... "Pyaaz khaao khud jaan jao" ..:D Kyu sahi kaha na yogesh sir ji? Thanks a lot, Yogesh for the post on Onion investment. Your post really opened the horizon. After two hours of research, now I know how to invest in Onion. Really appreciate the way you write your posts...hidden messages and hidden gems. There are quite a few things that in the past you had suggested to provide the details later. We are still waiting for you to provide the reasons for investing in Gold and how to invest in Onions and benefit from them. I hope you will share them with us.